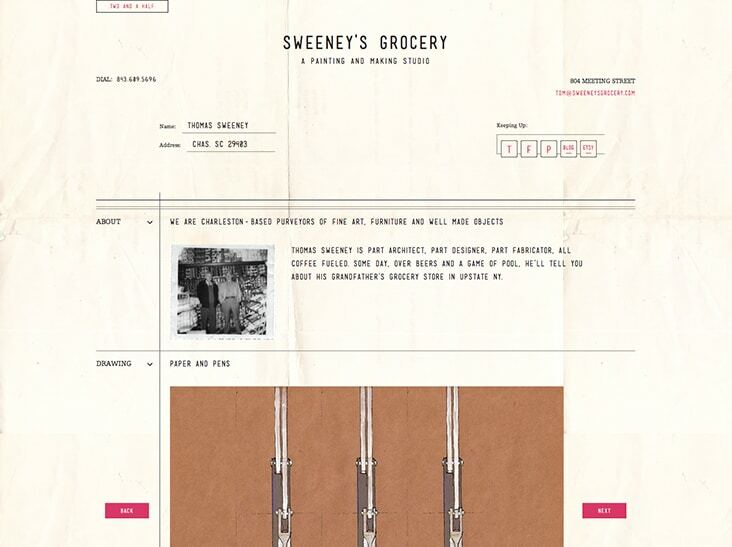 Sweeny’s Grocery « Stitch Design Co.
Thomas Sweeney is part architect, part designer, part fabricator. 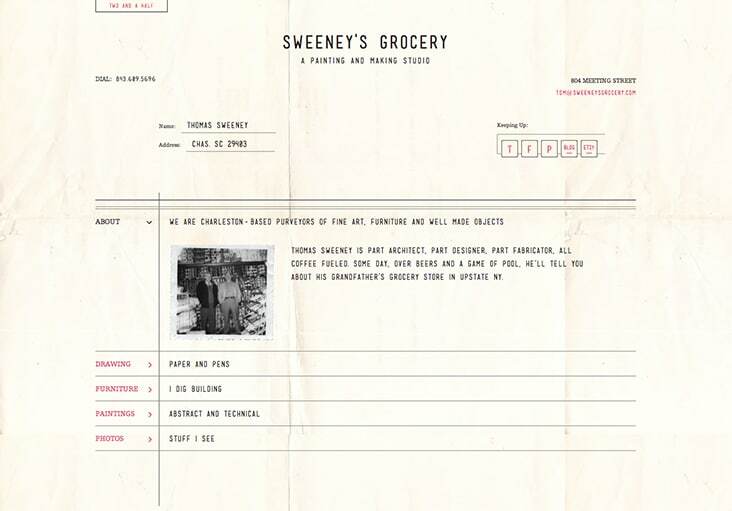 Inspired by his grandfather’s grocery store in upstate New York, we created a portfolio site and blog to show case all of his well made goods. We’re fans of his paintings and are lucky enough to have a few hanging here at 9 Cannon Street. 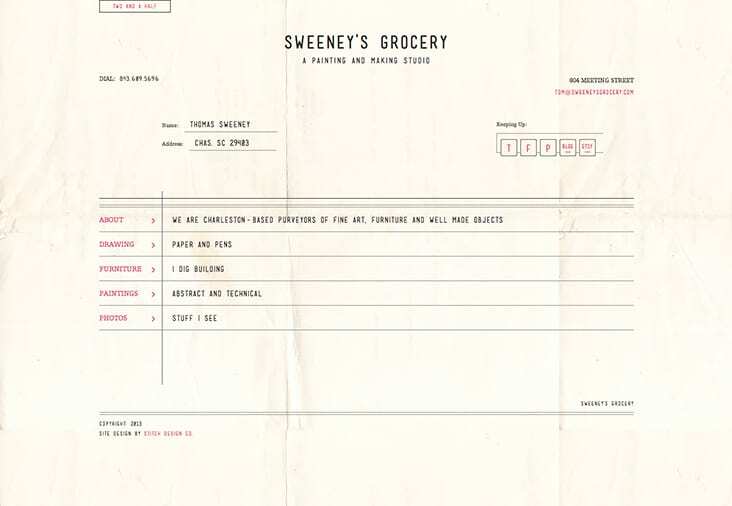 See the full site here.